Discovery of the gas laws was one of the first steps chemistry took away from alchemy, largely thanks to Robert Boyle. These laws showed that there are simple relationships between the pressure, volume and amount of a gas and the combination of these empirical gas laws gives us the ideal gas law. Robert Boyle was a 17th century alchemist, sometimes referred to as the “grandfather of chemistry”. He was involved in the foundation of the Royal Society, believed that all matter consisted of indivisible “corpuscles” and defined an element in the sense that we know it now. He also wrote some seriously nasty letters, (by 17th century standards) to Isaac Newton. We know him best for his work with gases, and he gave us Boyle’s Law. Using a manometer he showed that the volume of an enclosed gas decreases as the pressure increases. PV=k or; the volume of a sample of gas at a given temperature varies inversely with the applied pressure. Jacques Charles - a ballooning science-pirate? Jacques Charles was a bit awesome. Wikipedia describes him as an inventor, scientist, mathematician and balloonist, and he stole Charles’ law from a guy called Gay-Lussac. The law comes from hot-air-ballooning and describes how the volume of a gas increases linearly with temperature. This is true up to a point – gases will liquefy before they reach zero volume, so Charles’ law does not hold for liquids. V=bT or; the volume occupied by any sample of gas at a constant pressure is directly proportional to the absolute temperature. Amedeo Avogadro, for whom 6.02x10^23 is named. Avogadro (did you know that he didn’t actually calculate Avogadro’s number? 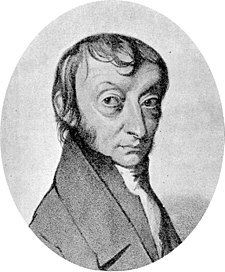 It’s just named in his honour) after seeing what Gay-Lussac was doing, Avogadro showed that if you have equal volumes of gas at the same temperature and pressure, they have the same number of particles. It shows that when gases behave ideally, (topic of a whole other post) the pressure, volume, temperature and molar amount can be calculated using the ideal gas formula. R is the ideal gas constant and is the constant of proportionality. It is 8.314 J.K-1.mol-1. Remember this, and don’t bother with the version that uses atmospheres. You will come across lots of units when dealing with gases, and it is useful to know what is equivalent to what. You get a choice in these calculations – you can use m3, in which case you must use Pa or you can use L and use kPa. Decide now on one set of units to use from now on, and stick to it. If you chop and change, you will confuse yourself during an exam.